Toshiba Tecra Z40-B 14" Multimedia Laptop Intel Core i3-5005U 12GB RAM 500GB HDD. The Tecra Z40-B was made to move. Starting at an ultra-light 1.4kg and highly robust, its the perfect companion to take on your business travels and offers a long-lasting 10 hours* battery life from a single charge. If youre out and about in direct sunlight you wont see any glare on the 35.6cm (14) non-reflective HD screen so its really convenient to work in or out of the office. 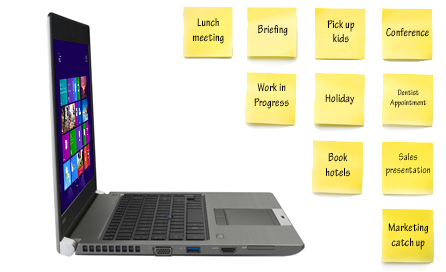 With an Intel® Core processor, your Ultrabook* has all the power you need to multitask on the move or in the office. And with a high-performance HDD inside, the Tecra Z40-B delivers faster speeds and higher responsiveness from the second you boot-up to the minute you shut-down. There's no compromise, so you can run all of your business applications with ease. 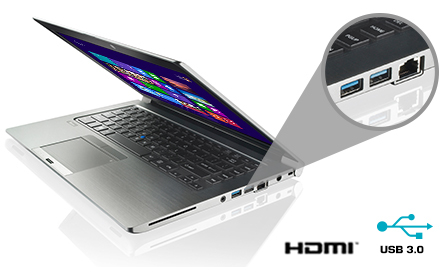 The Tecra Z40-B is packed with mobile flexibility and full-size ports so you won't need any special adapters. You can transfer data to other devices much faster, using the three USB 3.0 ports or share your presentations on the big screen via HDMI. Gigabit LAN also allows fast access to your local network. The ultra-durable Tecra Z40-B is designed to withstand the pressures of professional life and meet Toshiba's high quality standards. It's passed the rigorous HALT (Highly Accelerated Lifestyle Test) assessment, which simulates 3 years of use. 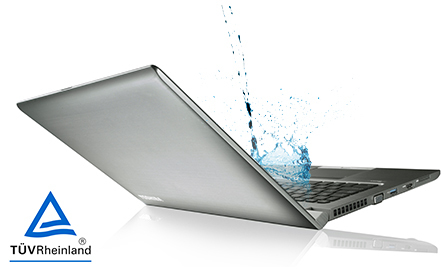 The independent German test institute, TÜV Rheinland® has also drop-tested this Ultrabook* up to 76cm, and tested the keyboard for spill-resistance up to 30ml. So even if you accidentally spill your drink, you have time to shut-down and protect your data*. 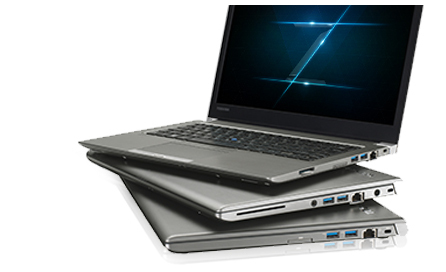 The Z40-B is built for business and comes loaded with a range of security and management features. There's the self-encrypted drives and Trusted Platform Module (TPM) to safeguard the critical data on your local storage. And even if your Z40-B needs to be updated, the IT department can do it at any time, with Intel Active Management Technology (AMT). 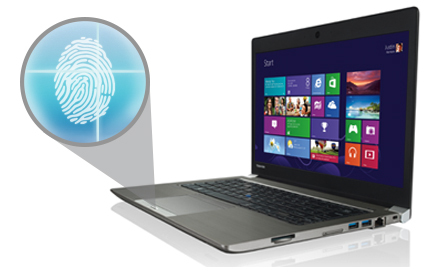 The standard fingerprint reader makes it easy and secure to log on to your PC too. The Z30/Z40/Z50 series feature a range of features to assist you in managing and securing your fleet, ensuring your company's data stays safe and your workforce up to date. A common image build simplifies deployment, while common docking and common power adapters standardises management and usability across your workforce. 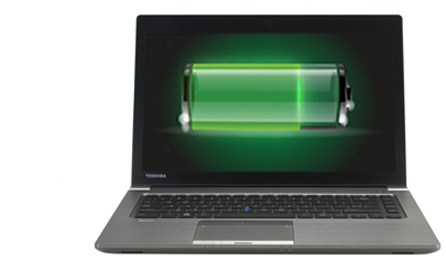 You have an important meeting in a couple of days, but something has gone wrong with your laptop or tablet? There is no need to worry. With the Toshiba On-site Repair Service an engineer will come to you by the end of the next business day to ?x the problem.